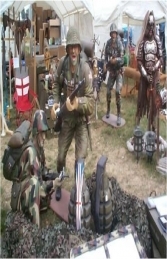 This wonderfully recreated reproduction model of the replica Claymore mine which is made from fibre glass and would complete any Military or army government surplus window display. 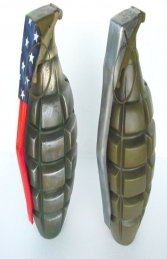 We have more coming soon, just email or call us to reserve yours. 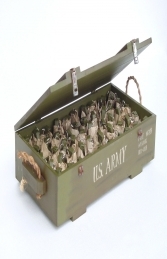 The replica claymore mine will arrive to you in its own box with protective cardboard and polystyrene inside the box to protect it, ideal if sending as a gift.